You know, I loved this group’s song “Please Don’t Say.” That was the first time I remembered who they were. Since then, I’ve come to love all their OST work. And I do love this new song. The vocals are great and the rap is not bad. 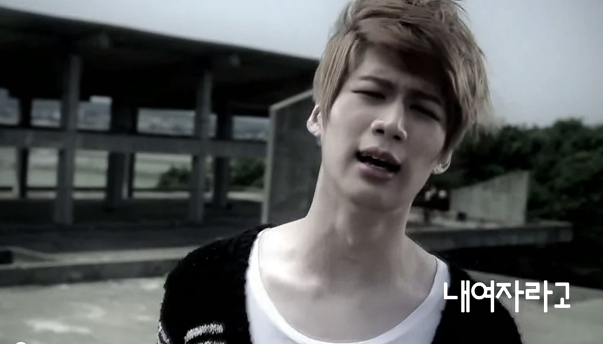 But…the lyrics…and the video… Tell me, what is with the kpop trend of disturbing MVs? Don’t know what I mean? 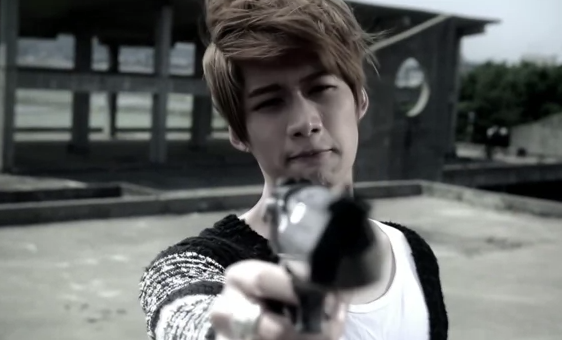 Check out Dalmatian’s “E.R.” and Davichi’s “Don’t Say Goodbye.” I mean the plot of these MVs are just wrong in a sense. I still shudder when I think of that female doctor cutting up the Dalmatian boys thanks to that scene when one of them opened his eyes as they zipped the body bag closed. Was that for dramatic effect? Or was she happily performing autopsies on at least one alive person? And the mini-movie of Davichi was cool, but again, disturbing in its content. It also didn’t make 100% sense to me at all. What problem do I have with this song’s video? Um, well, let’s see. Halfway through this song the one boy goes bonkers and chases after his girlfriend and kills her. He then proceeds to dress up and put make up on her corpse. He even tries to kiss it! That’s…just screwed up. And when you couple this with the actual meaning behind the lyrics…yeah. To me, the song can be construed in different ways. I mean, there is nothing wrong with a man loving a woman even if she doesn’t love him back. What’s wrong is sometimes what the person chooses to do. In this song, at first it seems innocent enough, but the lyrics take on a possessive and obsessive bent that I’m just not cool with. Seriously. You know, Sting when he was still with The Police did a song called “Every Breath You Take.” People tote that as a great love song. This surprised him. He points out that the song is essentially about a man stalking a woman. And when you think about the general mentality of stalkers…where’s the romance? Am I missing something? Well, the stalking and possessive lyrics in that song reminded me of this song. Oh, and the lead in this MV? Finally breaks down and kills himself. W.T.F. I think I would have liked it a little more if I understood exactly what was going on in the plot. I mean at least in MyName’s “Hello & Goodbye” we got the WHOLE story and not just a fraction of it. What I liked? Like I said, the melody, vocals, and rap are good. And the dancing! 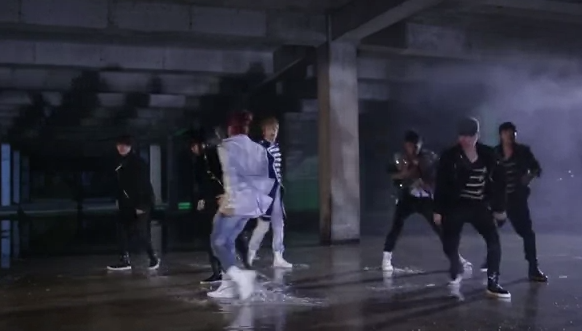 I liked the dance in the warehouse where there was a little bit of water on the floor. It was cool.